Suntech Landriani Machine Tools Pvt. Ltd.
Today, we are well renowned as one of the major Straight Spline BroachManufacturers and Suppliers, based in India. Spline Broach, a Push or Pull type broach, is used to produce a straight spline profile in the periphery of a prebore component. 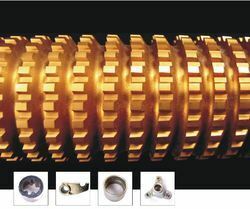 Spline Broaches are made to suit component specifications, customer's machine and holder details. 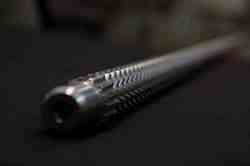 We are engaged in offering our clients a high quality range of Spline Broaches. These broaches are made from very high quality raw material which ensures high durability at its user end. It is used to cut helical splines in the component. While cutting splines broach follows a helical path rather than a straight path. In India Maheen Broaches are pioneer in making push and pull types of helical broaches. · We make this tool as per customer requirement. In order to keep pace with never ending demands of the customers, our company is instrumental in offering Spline Broaching Tool. Accuracy: As per DIN, SES, ANSI B92.1, BIS and other related standards. Sri Gayatri Auto Engineering Pvt. Ltd.
We offer our client an excellent quality range of Straight-Spline-Broaches, which are manufactured from high grade quality raw materials. These Straight-Spline-Broaches can be customized as per our precious customers specifications. These Straight-Spline-Broaches are widely known for its durability and quality.